PARIS/FRANKFURT (Bloomberg) -- Volkswagen AG has reached an agreement with U.S. environmental regulators to fix or buy back around 80,000 Audi, VW and Porsche vehicles with tainted 3.0-litre diesel engines, nearing a resolution on a key aspect of the emissions-cheating scandal, people familiar with the discussions told Bloomberg. Under an accord with the EPA and California’s Air Resources Board, Volkswagen would get the go-ahead to fix some 60,000 vehicles and offer to repurchase about 19,000 older models that would be too complex to repair, said the people, who asked not to be identified because the talks are confidential. The recall plans involve a simple software update, and avoiding a full buyback of all the cars would save the company about US$4 billion (Cdn $5.4 billion), the people said. While Volkswagen has agreed to pay an industry-record US$16.5 billion (Cdn $22.2 billion) to resolve issues involving about half a million 2.0-litre diesel cars, it has struggled to reach an agreement over the larger engines. A deal would be a significant step toward emerging from a crisis that erupted last year when the company admitted that about 11 million diesel cars worldwide were outfitted with “defeat device” software to game U.S. environmental tests. The court handling the case hasn’t approved a deal, so changes could still be made. Volkswagen also doesn’t have an agreement with the owners of the 3.0-litre cars who have sued the company or with the Federal Trade Commission, which filed a lawsuit against the company for false advertising. Both the steering group for the car owners and the FTC are demanding that Volkswagen offer to buy back all of the tainted vehicles, which the carmaker is seeking to avoid, the people said. Audi, which developed the 3.0-litre engine and is handling the talks, declined to comment citing confidentiality agreements. The affected models include diesel versions of the VW Touareg, Porsche Cayenne and Audi Q5, Q7 and A8. Spokespeople for EPA and CARB also declined to comment. A spokesman for the FTC didn’t immediately return a call seeking comment. In addition to the unresolved 3.0-litre issue, the carmaker is still under criminal investigation in the U.S. and on the hook for outstanding civil claims from several states. It also faces hundreds of investor lawsuits in Germany and is the subject of a criminal probe there as well. The court decision over 2.0-litre engines can still be appealed, which has delayed the implementation of Volkswagen’s program to buy back or potentially fix those cars. So far, about 75 per cent of owners of those vehicles have registered to participate in the settlement. To avoid additional penalties, the company has a target of getting 85 per cent of those cars off U.S. roads. In the 3.0-litre discussions, the two sides have yet to agree on how much Volkswagen should compensate customers to get their vehicles fixed, the people said. Under the settlement for the smaller vehicles, Volkswagen agreed to pay owners as much as nearly US$10,000 (Cdn $13,500) to have their cars repaired, while lease-holders will get up to US$5,000 (Cdn $6,750). Meanwhile, Volkswagen Canada is being investigated under the Canadian Environmental Protection Act for importing vehicles with software intended to defeat emissions testing. 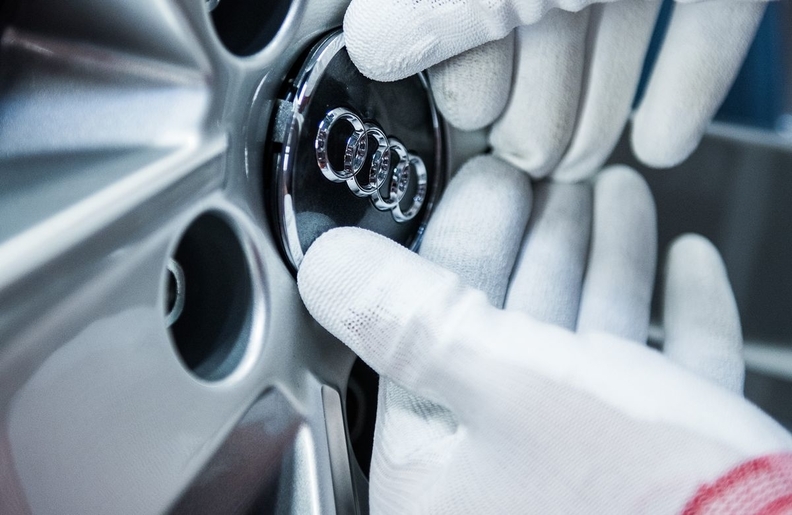 In a statement emailed to Automotive News Canada earlier this fall, Environment and Climate Change Canada spokesperson Melanie Quesnel said the agency is “actively investigating” certain Volkswagen, Audi, and Porsche diesel vehicles equipped with prohibited defeat devices. If the investigation uncovers sufficient evidence of violations, the agency “may recommend to the Public Prosecution Service of Canada that charges be laid,” she said.